ISTiOSELIDA - Sailing ONLY: Broken dreams we live with, a broken boat we cannot! Broken dreams we live with, a broken boat we cannot! Broken dreams we live with, a broken boat we cannot! After the night we got a thrashing from, things were not working as expected. Skipper Chris Nicholson gets his head around the electrical problems that keep cropping up. 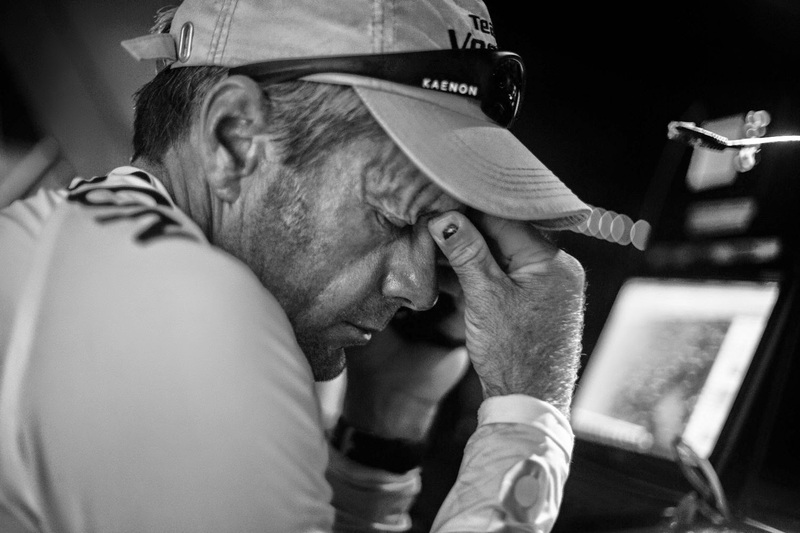 Photo by Brian Carlin/Team Vestas Wind/Volvo Ocean Race. It began when Wouter discovered the AIS wasn’t working on the navigation laptop. As mentioned in a previous blog the spare/performance laptop took a swim and is no longer with us. The sea state was still rather rough so we started from the bottom up, problem solving. 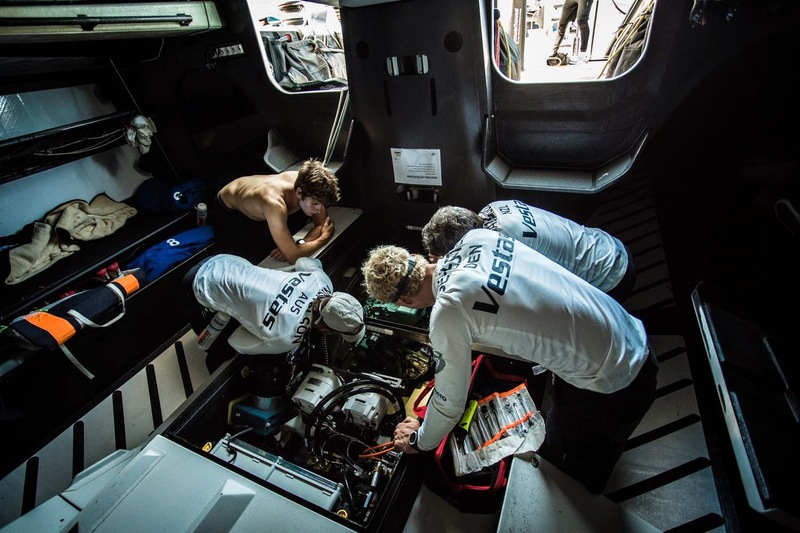 The crew worked together to fix all the issues they are having onboard. “I definitely wouldn’t want to be an aerial last night, or a windex” as he smiled looking up at the top of the mast. which I believe we have got to the bottom of. We also had a number of serious leaks, the major one on the pedestal buttons that killed Wouter's laptop. Nicolai spent several hours with a tube of Sikaflex sealing late yesterday.